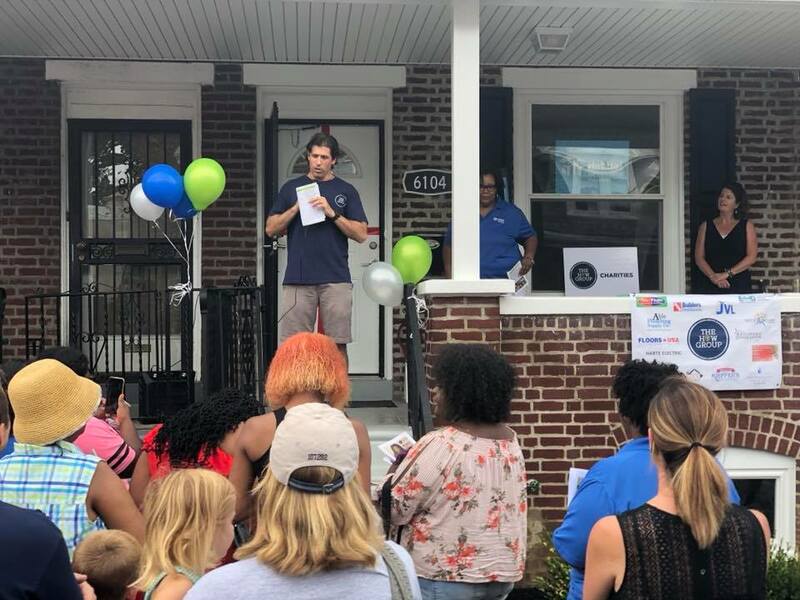 Gary Jonas, Founder of Conshohocken-based The HOW Group, handed over the keys to a new home to Lois Napper and her two young children in Philadelphia recently. 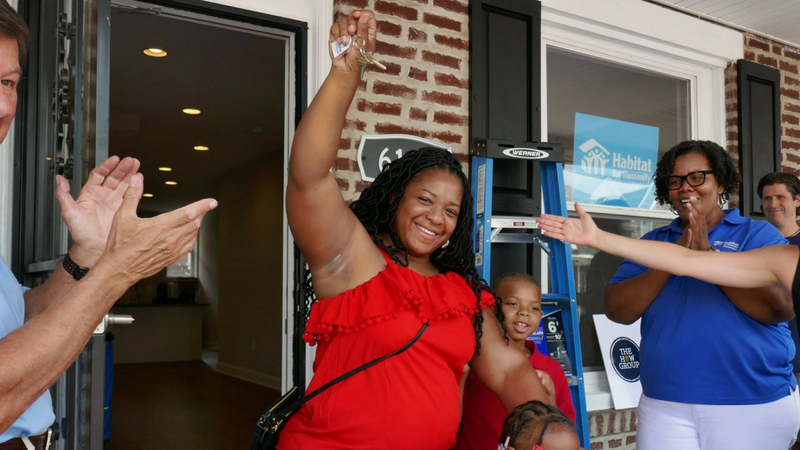 Napper, a participant in Habitat for Humanity Philadelphia’s Homeownership Program, was able to purchase her very first home with a zero-interest mortgage through the program. The HOW Group’s Gary Jonas speaks from the porch of the home. Napper is the first among her siblings to become a homeowner. “This is a dream come true for me and my kids. I never thought I’d be able to own my own home. To achieve a level of stability that I previously did not know was possible is a true blessing.” Napper says her son and daughter will no longer have to share the same room and she will no longer have the burden of dealing with an absentee landlord, a leaky roof and other challenges that she experienced in her previous apartment. Lois, who’s working towards a degree in Social Work, says her top priority is achieving security for her family. The Master Street home was renovated as part of The HOW Group’s vision of investing back into the communities it serves and helping families achieve homeownership. Earlier this year, The HOW Group formed HOW Charities, a non-profit dedicated to partnering with families who may not otherwise be able to purchase a home. Because of the close tie to Habitat for Humanity’s mission, it was a natural fit for the two organizations to partner on this home. In this case, How Charities bought an existing house and with the help of their very generous contracting partners, gutted it and rebuilt it from scratch. The 1,300 square foot row home was transformed into a beautiful, modern three bedroom, one bath home with new everything – HVAC system, windows, appliances – essentially a brand new house. “In addition, more than a dozen contractors stepped up to the plate and donated both materials and labor to create such an amazing new home for this family,” said Jonas. In the future, HOW Charities will be partnering with Big Brothers Big Sisters to award homes to more families.